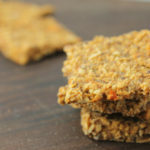 Paleo Savory Grain Free Crackers | One of the complaints we hear most about starting the Paleo diet is that crunchy snacks, like chips or crackers, are no longer allowed. 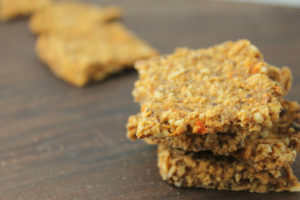 These savory grain-free crackers will fulfill your need for that crunch. 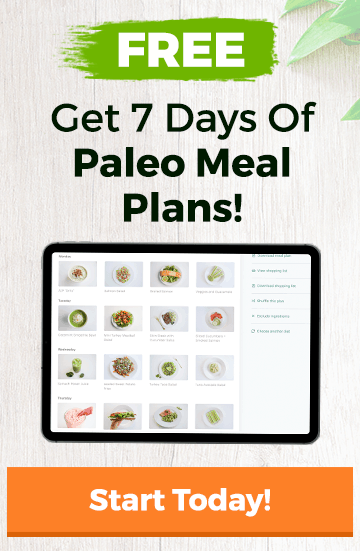 Nuts and seeds are combined with some herbs and spices for a crunchy Paleo snack you can enjoy without guilt. Eat with tuna or smoked salmon, or just eat plain for a quick energy boost. There’s seriously no wrong way to eat these crackers. Put all of the ingredients in a food processor. Pulse until you have a dough; don’t over process. Line a baking sheet with parchment paper. Spread the mixture on the parchment as thin as you can. Bake for 1 hour. Remove from oven and allow to cool. When cool, break into crackers. Store in an airtight container.